It’s the beginning of the new year and for most people that means giving some thought to a few resolutions. If after thinking about your possible New Year’s resolutions you’ve decided that you ought to be getting more sleep, we’re here with a helping hand. Being constantly connected to our laptops, smartphones, and other gadgets has its benefits, but the negative impact on our sleeping patterns isn’t one of them. Whether you suffer from insomnia, can’t turn your mind off, or simply don’t give yourself enough hours to catch those zzzs, we’ve got some tips, tricks, and tech products that might help you attain that ideal 8-hours a night this year. Studies have shown that most adults need 7-8 hours of sleep a night to feel healthy and avoid sleep deprivation symptoms like fatigue, memory loss, lack of focus, and a weakened immune system. That number can vary from person to person, but aiming for 7-8 hours each night is a good goal. Even if you follow every other tip and trick out there, if you aren’t in bed for as many hours as your body needs, you won’t feel awake and healthy during the day. Unfortunately there aren’t any gadgets that will actually make you sleep more hours, so you’re on your own for this one. It’s common knowledge that you will sleep better if you go to bed and wake up at just about the same time every day. It might be tempting to sleep in on the weekends, but your body clock will be less confused if you stick to a more consistent schedule. A bedtime routine might also help, particularly if you commit to turning off your gadgets 30-60 minutes before you head to bed. The blue light that comes from our computers, TVs, and phones can keep our brain awake and prevent us from falling asleep even if we’re tired. If you have trouble turning your thoughts off, try a white noise machine or an app like Relax Melodies (free and $2.99 versions), which lets you create your own combination of ambient sounds to soothe you into a deep sleep. Here’s where apps and gadgets come in handy. If you’re looking to improve your sleep quality or just the number of hours you spend asleep, one of the best ways to do that is to start tracking your sleep every night. There are many different options, from inexpensive and simple to high-end products that offer premium accuracy. Here are a few that will help you get a handle on what your sleeping patterns actually are before trying to change them. This system is likely the most accurate of any consumer products that we’ve seen, but it comes with a catch. 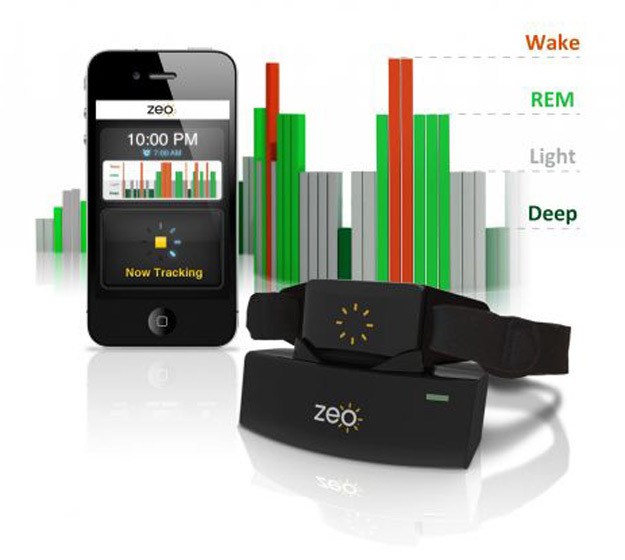 The Zeo system consists of a monitoring band that you wear around your head when you sleep as well as a small docking station. The soft headband monitors your movements as you sleep, creating sleep charts that differentiate between light sleep, REM sleep, and deep sleep. With the free accompanying app, you can set alarms (using SmartWake if you choose, we’ll explain later) and view your sleep charts from each night, including exactly how long you were in each sleep stage. This alternative is a similar set up to the Zeo system, offering a tracking wristband as well as an accompanying app. Lark provides intuitive tracking and charts to see your sleep patterns, and even offers tips on how to improve your sleep. The wristband does the tracking and a silent alarm can vibrate you awake in the morning, avoiding conflict between couples who wake at different times. While we haven’t tested this one out yet, we imagine it has similar accuracy results to the Zeo and a wristband might be more comfortable for some. 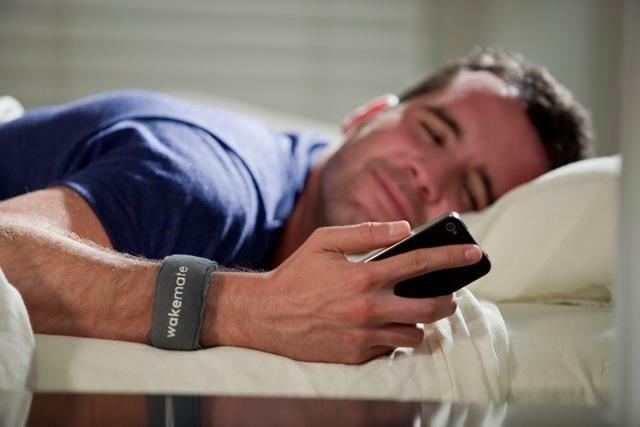 A similar concept on the less expensive side, the Wakemate uses a soft wristband to track your sleeping patterns and wake you at the most optimal time in the morning. The system works with an app and an online analytics system to provide you valuable information about your sleep cycle and what to improve on. There are also several tracking apps out there, like Sleep Tracker or SleepLog for iOS, that will help you keep track of how many hours you sleep each night, but they won’t be much help when it comes to seeing how much deep and restorative sleep you’re getting within that time. There are also several apps that will use the accelerometer in your phone to wake you at a more optimal time in the morning; we’ll get into that below. 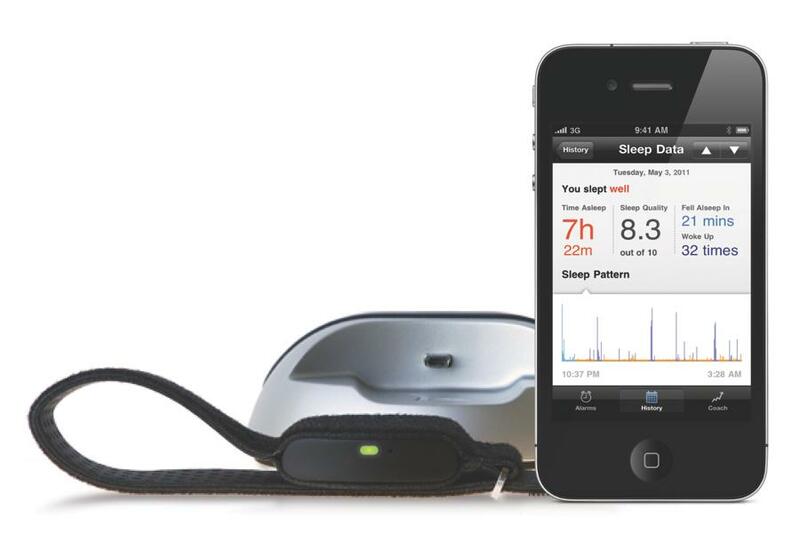 We didn’t mention it yet, but all three of the sleep tracking systems we just told you about have one added element that can make a huge difference in how you feel on a daily basis. They all use the tracking of your sleep cycle to wake you at the most optimal time in the morning, usually up to 30 minutes before your alarm is due to go off. Chances are that you’ve experienced this phenomenon personally: one day your alarm goes off while you are sleeping lightly and you wake up with ease, another day your alarm goes off while you are in a deep sleep and you wake up grumpy and groggy even if you got the same number of hours. How you feel in the morning (and even the rest of the day) can be greatly dependent on what sleep cycle you were in when your alarm went off that day. The sleep tracking systems (Zeo, Lark, and Wakemate) all use the information that they get from tracking your sleep cycles to wake you up during your lightest sleep around your alarm time. It might wake you up 30 minutes earlier than usual one morning, but if you were about to fall back into deep or REM sleep, it’s much better (and easier) to wake when you were in the lighter phase. Apps like Sleep Cycle ($.99) use the accelerometer in your smartphone to monitor your movement, well, the movement of your mattress, in hopes of giving you similar tracking and waking results. We wouldn’t count on them for accuracy, but the apps can usually tell well enough when to wake you in the morning based on your movement. We can probably all tell from experience that a loud buzzing noise or harsh flip of the light switch is not the most ideal way to wake up in the morning. Many of the tracking systems and apps we’ve mentioned offer soft natural noises that gradually increase in volume, which is definitely better than your classic alarm buzz, but if waking up is your problem, making an effort to wake up more gradually might help you get up more rested and refreshed. The Philips Wake Up Light ($99) is still the best version of this that we’ve seen, although there are other models out there. 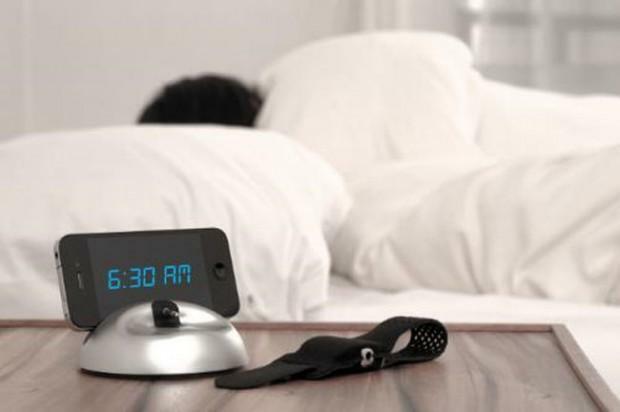 This alarm clock bases its design on the fact that our internal clocks are designed to wake up when the sun rises. 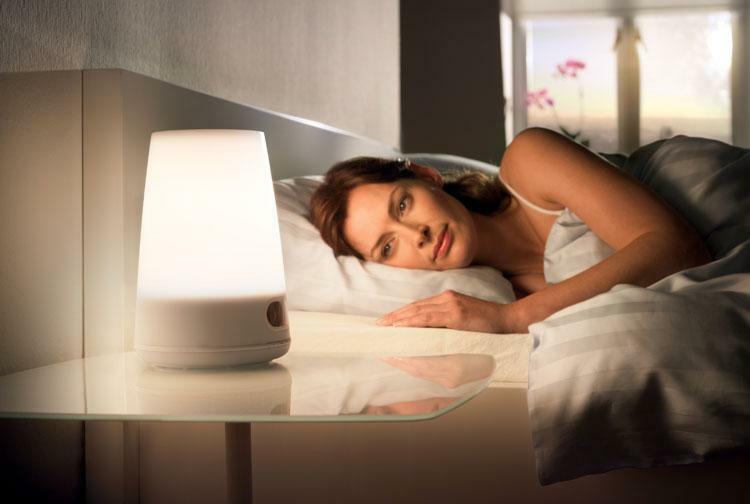 The faux-natural sunlight lamp gradually increases its light over a 30-minute period and then plays gentle sounds to tell you it’s time to get up. The idea is that by that time, the gentle light will have allowed you to comfortably wake already. There are lots of different reasons that we might not get our best sleep every night. Unless it is related to a medical disorder, chances are that you can change your sleep quality by changing your lifestyle habits. To figure out what factors cause problems in your sleep, it’s a good idea to track your sleep and keep some kind of note system on what you did that night, whether you drank alcohol, exercised, or ate a meal close to bedtime. Most of the tracking systems or apps we mentioned allow for some kind of daily journaling that will help point you in the direction of what might be hindering your sleep. Tracking can help you notice patterns – maybe you’ll realize that you sleep the best when you exercise in the afternoon, or that just a couple drinks at dinner reduces the quality of your sleep. Once you figure out what factors are preventing (or helping you) when it comes to your sleep, then you have the power to change them.